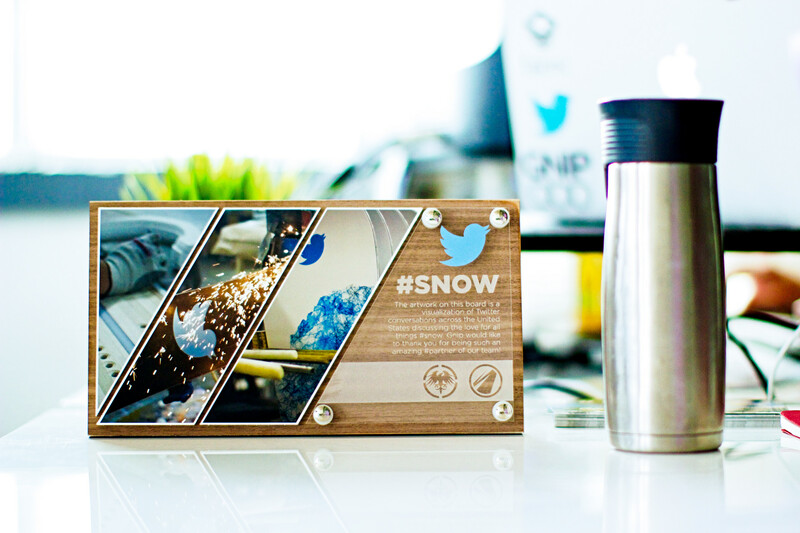 Twitter requested a customized short run of snowboards to distribute internally and externally. I was in charge of creating a limited edition plaque to pair with some of the boards. I decided to feature images of the production process as well an etched piece of plexiglass featuring a descriptor and the companies that came together to accomplish this stunning project. Mounting to a darker piece of wood made everything pop.